The HDGrabberX-SDI is a high-performance, high definition, raw video framegrabber on a single PCIe/104 card. 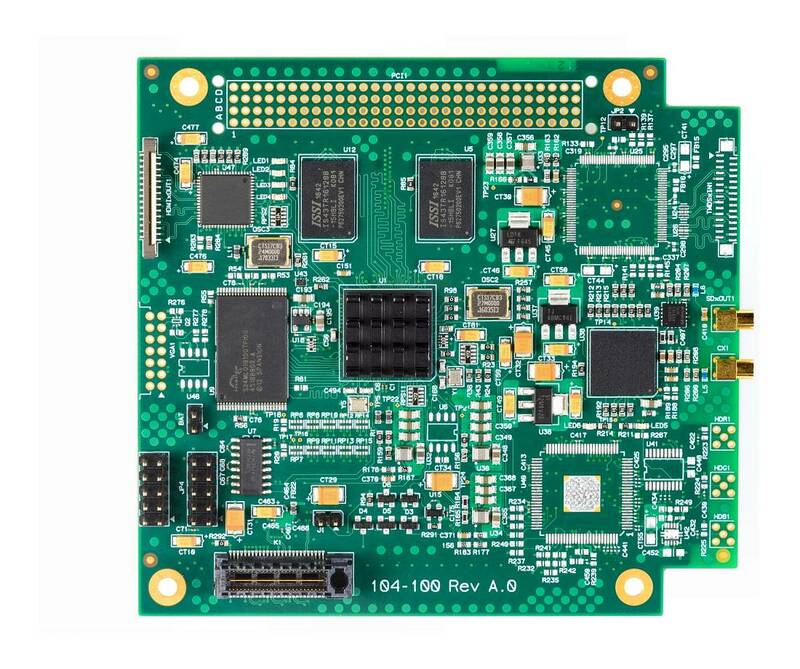 The HDGrabberX-SDI provides a powerful and flexible solution for capturing HD-SDI digital video for local system display or software analysis and processing. The HDGrabberX-SDI supports real -time video capture at up to 1080p30. The flexible capture engine also supports other common HD-SDI resolutions allowing data to be captured from a wide range of sources and sensors. The captured video data can be streamed continuously to system memory or disk for either immediate local display or further processing. The HDGrabberX-SDI is supported by drivers and example applications for Windows and Linux.